Liquid smoke is an artificial smoke .utilized in various cuisines to add smoky flavor and aroma to the food. This practice is getting widely popular owing to the growth in hospitality sector. 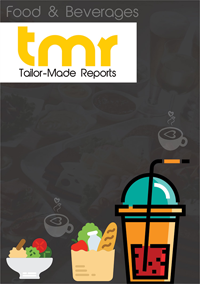 The global liquid smoke market is also supported by increasing number of cafes and restaurants. The most commonly available smokes are red and yellow smoke. They are utilized for increasing the shelf life of food items. It doesn’t even require roasting or grilling to achieve better shelf-life. Owing to the rising demand regarding smoked sausages, smoked salmons, and several other food delicacies, the global liquid smoke market is also foreseen to develop in coming years. Liquid smoke is used as browning agent, color preservative, and anti-microbial additive. This is another factor supporting the growth in liquid smoke market across the globe. The manufacturers are using liquid smoke to provide a distinct factor to their food products. Owing to rising demand regarding surged composition of carbonyl based compounds, as an effective browning agent, the global liquid smoke market is estimated to witness a notable rise in future. Based on products, hickory, mesquite, maple, oak, and Applewood are the key flavors in the market. Among these, the hickory segment is likely to experience the maximum demand in coming years. The chips and sawdust of hardwood, for example, hickory is extracted as waste from furniture sector. This smoke is sans additives, salt, and other carcinogenic compounds and helps liquid smoke market to grow. Liquid smoke, which is the artificial smoke ingredient used across cuisines for imparting the smoky fragrance and flavour to food is becoming increasingly popular, thanks to the growth of the hospitality industry and growing number of restaurants and cafes. The yellow and red liquid smoke, which are the most commonly available liquid smoke are also used for extending the shelf life of food products without the need for grilling and roasting the food. There are several advantages of refined liquid smoke over wood smoke including ease of storage, inhibition of PAH emission, minimal environmental pollution, and superior homogeneity of product. These benefits over wood smoke are making liquid smoke increasingly popular and accelerating the growth of the market for the same. Further, the production of liquid smoke helps control the growth of pathogenic microorganisms. The global demand for liquid smoke is increasing as the popularity of smoked salmons, smoked sausages, and similar other food items has increased. The use of liquid smoke as a color preservative, browning agent, and antimicrobial additive is also propelling the growth of the market as manufacturers of food products use it for differentiating their products. With the food industry seeking liquid smokes with higher composition of carbonyl-containing compounds, as effective browning agents, the market stands to benefit. Refined liquid smoke with reduced levels of colour and flavour have their application as preservatives in salmon and raw tuna. The demand for liquid smoke is anticipated to continue further as there is a growth in processed food industry and pet food industry. Moreover, liquid smoke is also used for imparting flavour to hard boiled candy. In terms of product, among mesquite, hickory, apple wood, oak, and maple, the hickory flavoured liquid smoke is currently witnessing the highest demand. The sawdust and chips of hardwood such as hickory can be obtained as waste products from the furniture industry and this smoke is free from salt, additives, and carcinogenic compounds but nevertheless has a very strong flavour, and is used in the food industry for importing texture, colour, and flavour. It is also used for preventing spoilage and extending the life of food products. ease of burning and significant amount of smoke obtained from a small amount of hickory are other factors associated with the growing popularity of hickory liquid smoke. By application, the global liquid smoke market can be segmented into pet food and treats, sausage, seafood and meat, and dairy. Of these, the seafood and meat segment is leading and is expected to continue to do so, in the years to come. In countries such as the USA, liquid smoke is used extensively in cured meat products such as hams, hot dogs, pastrami which are consumed extensively. The quality enhancing property, antimicrobial property, and antioxidant properties of liquid smoke are some of the factors making them extensively useful in the seafood and meat application area. They are also used extensively in barbecue-flavoured products such as marinades, bacon, sausages, and cheese for adding a smoky flavour to it. On the basis of geography, the global Liquid Smoke Market is segmented into Asia Pacific, Europe, North America, and the rest of the world. Of these, the growing consumer preference for BBQ flavours and sauces is accelerating the demand for liquid smoke. In addition to this, the use of liquid smoke for processed meat applications and seafood in North America is very high and this will drive the growth of the market in the region. Apart from North America, the demand for liquid smoke is high in Asia Pacific, on account of the growing consumption of seafood. Some of the key players profiled in the market include Besmoke Ltd., MSK Ingredients Ltd., Redbrook Ingredient Services Ltd., Ruitenberg Ingredients BV, B&G Foods Inc., Colgin and Azelis SA, Kerry Group Plc, Baumer Food Inc., Red Arrow International LLC, and Frutarom Savory Solutions Gmbh.